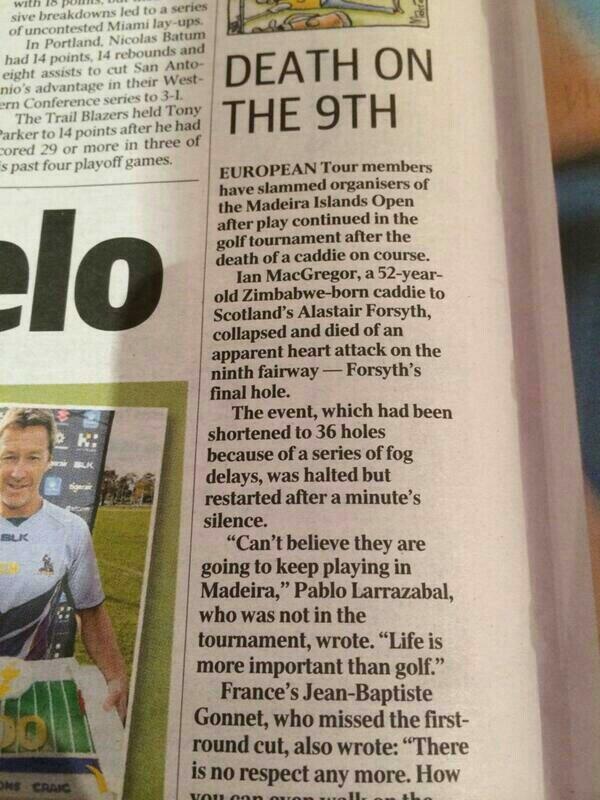 The Legacy of Iain McGregor Shamefully Mocked by the Melbourne Herald Sun – Links to articles and blog posts about the glorious game of golf! After the recent passing of European Tour caddie, Iain McGregor, it was expected that his life would be honored and respected by all around him. 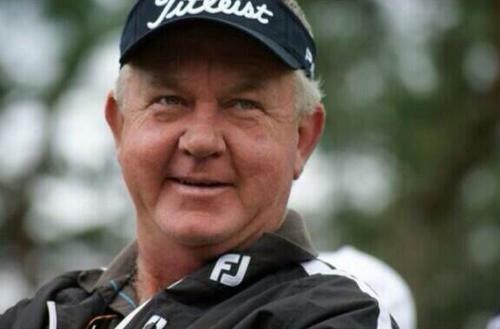 The 52-year-old Zimbabwean was clearly a popular man judging by the glowing tributes he has received from all corners of the globe, since he tragically suffered from a heart attack at the Madeira Islands Open, last Sunday. 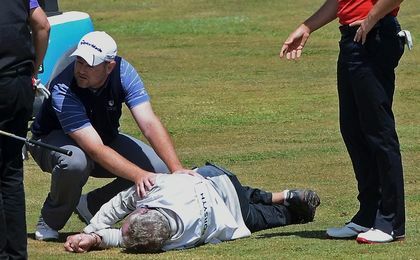 The tragic death of European Tour caddie, Iain McGregor at the Madeira Islands Open, on Sunday. The article that contained the insensitive image depicting McGregor’s death. 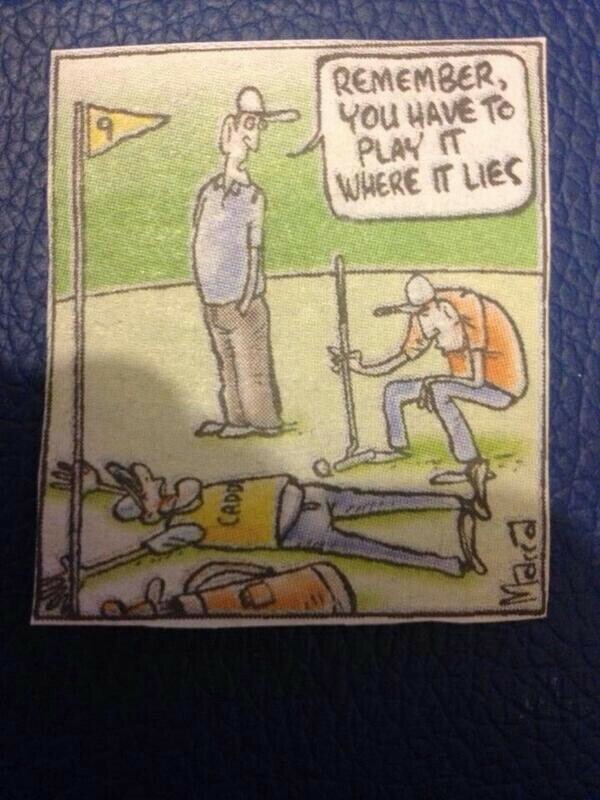 The controversial image that the Herald Sun deemed acceptable to publish. Everyone who knew McGregor has had nothing but positive things to say about him. Many referred to him as the life and soul of the European Tour. A man whose mission in life was to make people happy, even if it was at his own expense. There will be an eerie silence at the Spanish Open this week, with a huge void left unfilled, as McGregor is laid to rest. Pablo Larrazabal has appealed for everyone to wear black in McGregor’s honor during the first round: players, caddies and fans alike. In a time like this, where common sense, sensitivity and courtesy is expected to honor the deceased, another uneducated journalist has crawled out of the sewer and caused even more damage to a profession that is continually losing respect from the public. This is in reference to the Melbourne Herald Sun newspaper and the shocking decision they made to use a a cartoon sketch depicting how McGregor died on the course. They believe that this is ‘satire’. If they think that somebody losing their life is a funny situation, well let’s see who is laughing? Nobody. Are people really that insensitive or stupid or are they just looking for attention by any means possible, whether it is positive or negative? How do they live their lives in an acceptable manner if this is what they feel is appropriate behavior? There is no doubting that the Herald Sun deserves to be charged for this amateur act of journalism, but do they really care? A boycott of the newspaper would be the only way to effectively condone this grave error they made, but really, is that going to happen? No, unfortunately. There is no doubting that life will continue for everyone this week; McGregor’s passing will slip down through the headlines and it won’t be long before another mediocre newspaper article inflicts even further damage on this ailing profession. People, and in particular a small section of journalists need to think before they write; it is just plain common sense that everybody should possess. A man has died; a loveable character that brought nothing but joy, laughs and good times to the people around him. This is not a time to try and get one last laugh at his expense; he deserves better. Shame on you Herald Sun. Issuing a public apology will be a small step towards salvaging some dignity back for your despicable behavior. You have lost the respect of many of your readers this week. ← (I) The Open De Espana aka Spanish Open!